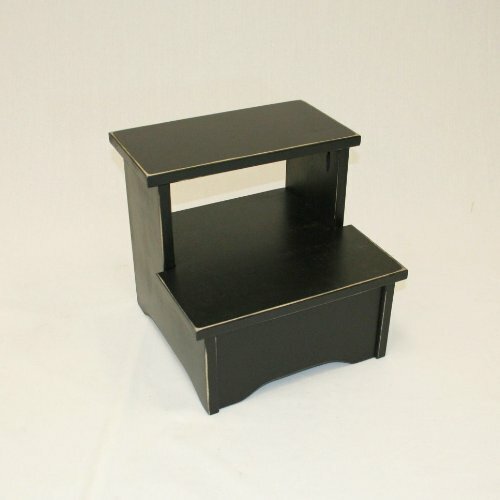 Amish Handcrafted Solid Wood Bed Stool-lmb- Antique Black by eHemco at Indsight. MPN: unknown. Hurry! Limited time offer. Offer valid only while supplies last. This bedside stool is individuaaly handcrafted using soild hardwood(no Veneers,no MDF) by an Amish family. Size: 14"W x 14"D x 13"H; Top: 14"W x 7-1/2"D x 3/4"Thickness; First Step Height: 7"
Finishing: Antique black; Also available in antique green, antique red, antique gray,natural and unfinished.